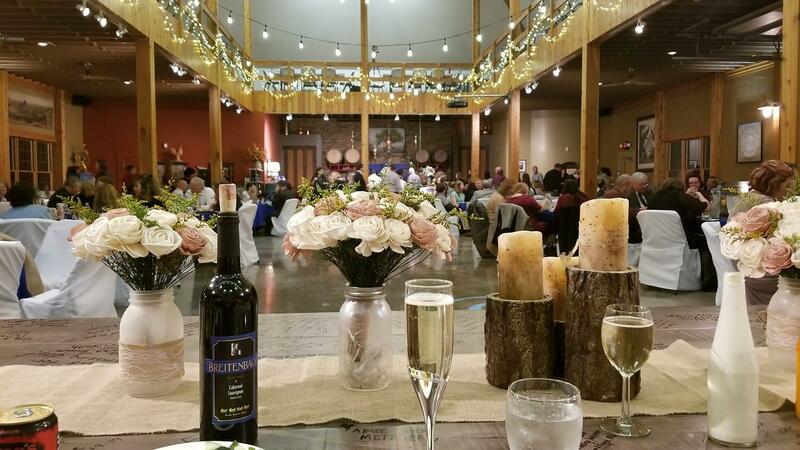 Set against the rolling hills of the vineyard, the Toolshed is a beautiful, yet functional venue, perfect for weddings, parties, corporate gatherings, food demonstrations, reunions, and more. The ground floor seats up to 250 guests, while the mezzanine can seat up to 100 additional guests. For availability and booking, call 330-343-3603 or email info@breitenbachwine.com. If you're looking for a beautiful, indoor wedding venue, The Toolshed just might be the perfect place for your special day. Barrels and other winery mainstays decorate the room, and a balcony above provides extra room. Set against the background of the vineyard, there are plentiful photo opportunities, especially at sunset. For more information or to reserve the Toolshed, please contact us.